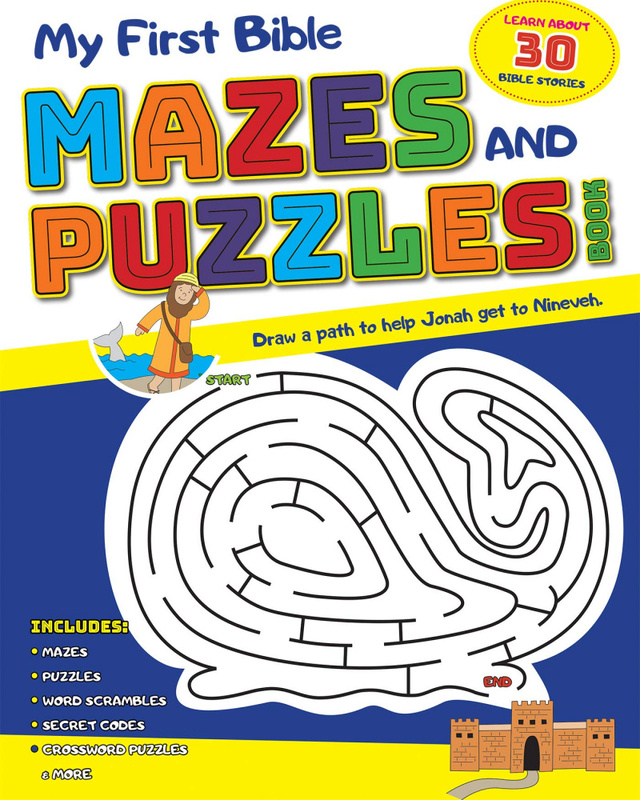 My First Bible Mazes & Puzzles Book is packed with a variety of fun activities including mazes, word scrambles, crosswords, secret code challenges, and more! Your kids, ages 5 and up, will learn about Bible stories from the Old and New Testaments as well as learn scripture verses and biblical principles. From tracing a path to help Zacchaeus come down from the tree to see Jesus to completing a scripture verse scramble, hours of fun and learning will encourage kids to grow in their faith. Also included are key highlights from each Bible story for parents and teachers to read aloud. Children will improve hand/eye coordination, learn problem-solving techniques, and follow directions.